What's a political gaffe? When a candidate accidentally tells the truth. [Abortion] comes down to, it’s not the government’s role, or anybody else’s role to make that decision. Secondly, if you look at the statistical incidence, you’re not talking about that big a number. So what I’m saying is, it ultimately gets down to a choice that that family or that mother has to make. Not me as president. Not some politician, not a bureaucrat. It gets down to that family, and whatever they decide, they decide. I shouldn’t try to tell them what decision to make for such a sensitive issue. That's actually a conservative opinion, though not the conservative dogma of the day, which wants Big Ole Daddy government intruding into every private matter that involves a fertile woman. The flak Cain caught for this "family values" remark has led him to backtrack and take the most extreme view: no abortions, period. Combined with GOPer cutbacks to welfare and Medicaidm this means we may see a wave of infants left on doorsteps like in olden times--or, more likely, tragically, in dumpsters. The so-called Religious Right loves him again now, I suppose. But in the "Anybody but Romney" sweepstakes among the GOPers I still think Perry will come out on top. Maybe not in Iowa (but not Romney either) but certainly in NV and SC. Many GOPers can hardly WAIT to have another brush-cuttin', cowboy-boot-wearin,' oil-suckin', tough-talkin' swaggerer in the WH. Whoever finally gets the most $ and the biggest turnout in this unbelievably drawn-out primary process, you can bet ALL GOPers will rally round him/her b/c it's really all about Get Obama. A zombie will be able get at least 40% of the votes (and 85% of the corporate contributions) in November 2012, they hate Obama that much. I see Obama winning reelection and both houses of Congress going Republican. Or at least, I hope this is what happens. Then, we will get Christie in 2016 with a Republican majority in Congress, and we will all experience a long period of prosperity without financial crises, and a moderation of social views within the Republican party. MikeD, I beleive you have made a mistake. I think we will have Cain as our next President in spite of this statement. He is the best of all the Republicans and all the Republicans are better than Obama. Even the Perry loyalists are wishy-washy about it: http://ace.mu.nu/ (most of the way down, right now). Turning against Cain for a series of inconsistent answers, yes. Turning against Cain as pro-choice, no. Seriously, though, anyone who thinks conservatives are prioritizing abortion this election has no clue. I think you mistyped--you meant to say will get corporate contributions, right? According to the Washington Post, "Obama has brought in more money from employees of banks, hedge funds and other financial service companies than all of the GOP candidates combined." Mike D... a moderation on social issues? Are you serious? If anything, Republicans have gone off the deep end regarding social issues. A long period of prosperity with a Republican president and congress, huh? Just like we had with George W, right?? Please, check out this site, and make up your own mind about the development of the Republican platform if Christie becomes President. You may be surprised to find that Republicans wouldn't bother you so much if they adopted his views. You may find that the party platform would moderate dramatically on social issues. If you give him a chance, you may also find that you take him at his word, as I do. In all likelihood, both Houses of Congress will go Republican in 2012. If either Romney of Perry becomes President with that majority, the result will be disastrous for our country. I will not vote for either of them, and I do not believe either is electable. 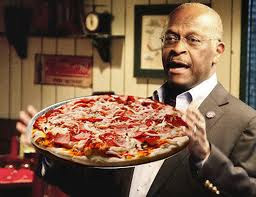 I would consider voting for Herman Cain, but he will really have to show considerable development to get my vote. I would want to see him stand firm in the face of pressure from his own party, when his beliefs are being challenged from within his party, and I have not seen that yet. Christie, however, in 2016, will tell his party what their new platform is, and they will listen. As a social liberal and fiscal conservative (generally speaking), my views are not in lockstep with Christie's, but I can live with his much more easily than with those of a Marxist or Christian fundamentalist. I would not suggest that Brushfire or J.W. review the page I linked. I understand that their views are unwaveringly partisan, and Republicans becoming more reasonable would not please them, as it would draw people away from following their ideology. The betterment of people does not matter to them. Only ideological supremacy matters. I do not believe the same applies to you. I believe that you truly wish the world to be a better place, for people to grow. The country is divided fairly evenly between parties, and both have become pretty extreme of late, leading to wild swings in public opinion, social discord, and public displays of anger. In my opinion, an individual who possesses the ability to gain support from both sides, who does not waver in his commitments, who operates without overstepping his Constitutional powers, who insists on fiscal responsibility, and who brings extremists out of the shadows and away from their extremes, deserves serious consideration as a potentially great leader. Hello, Mr. Cain. It appears your lead is growing.